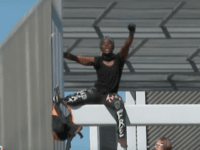 A Congolese woman who scaled the Statue of Liberty to protest President Trump’s immigration policies said in a Thursday press conference she was inspired by Michelle Obama. 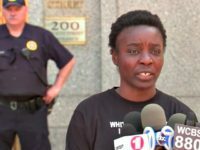 The woman who climbed the base of the Statue of Liberty on Wednesday is in federal custody and has been identified as a Congolese national. 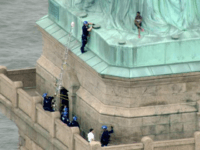 A woman was spotting climbing the base of the Statue of Liberty on Wednesday after at least six people protesting against ICE were arrested. 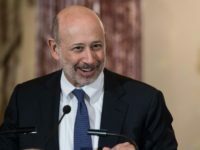 “View from our building today reminds me that despite all the sh*t, American values will shine through,” Lloyd Blankfein tweeted. 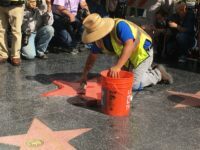 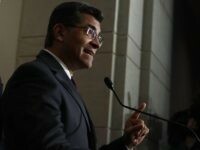 California Attorney General Xavier Becerra, who has vowed to lead the so-called “Resistance” to Trump, claimed that the president’s decision to rescind DACA Tuesday was unconstitutional — though he did not explain why. 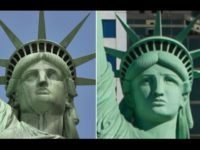 Pamela Geller, editor-in-chief of The Geller Report and president of the American Freedom Defense Initiative spoke with Breitbart News Daily SiriusXM host Raheem Kassam on Wednesday regarding Rep. J. Luis Correa’s (D-CA) painting of the Statue of Liberty wearing a hijab, which he has displayed in his California office. 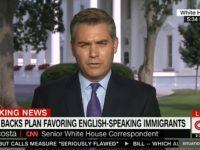 CNN reporter Jim Acosta on Sunday admitted that he is still clueless about America’s immigration history and laws after White House adviser Stephen Miller demolished CNN’s resident grandstander last week. 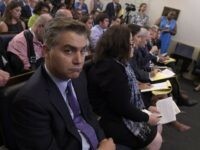 In a fiery exchange, Miller not only called out Acosta for his “cosmopolitan” biases but also exposed his shallowness on public policy issues. 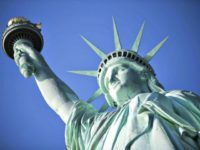 President Trump’s senior adviser, Stephen Miller, had to give a history lesson to CNN’s Jim Acosta at a press briefing at the White House on Wednesday about the Statue of Liberty and the “The New Colossus” poem that’s on the base of the statue. 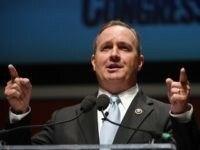 Congressman Jeff Duncan (R-SC) spoke with Breitbart News Daily SiriusXM host Alex Marlow regarding the administration’s new executive order on immigration and travel, which he supports, on Tuesday. 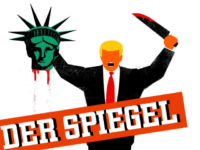 Best-selling German weekly news magazine Der Spiegel [The Mirror] have published their weekend cover featuring a heavily stylised cartoon of the new American President, apparently in the style of an Islamic State propaganda video. 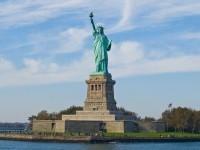 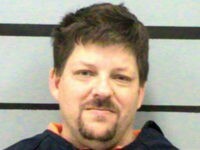 On Monday, Jason Paul Smith, 42, pled guilty in federal court to one count of conveying false and misleading information and hoaxes, in connection with a 911 call he made in April 2015 claiming to be an ISIS terrorist bent on bombing the Statue of Liberty. 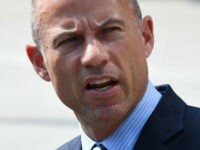 For the past two weeks, Kim Kardashian has assumed the role of “Lady Liberty” as she has graced the front of T-shirts, which have been making their rounds in Midtown, New York.